We use modern PSTN telecommunications networks for superior sound quality no matter where in the world you hold your global conference calls. 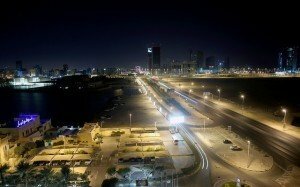 Thinking about hosting global conference calls in Bahrain? Whether you’re in Bahrain temporarily or permanently using our pay-as-you-go global conferencing plan provides you with excellent sound quality, advanced global conferencing features, and flexibility. Here’s what you need to know about global conferencing in Bahrain. Signing up for a Bahrain global conferencing plan is easy. You can get started right away, and since our Bahrain conference calling plan has no contracts, you can cancel at any time. Our rates are extremely competitive. We offer both toll free and local (Manama) access numbers for participants in Bahrain. Because you’ll be using your conference calling plan internationally, you’ll be pleased to know we support more than 65 countries in our Legacy plan and more than 105 countries in our Expanded plan. Whether your Bahrain conference call attendees are located in Bahrain or elsewhere around the world, you’ll get great per minute calling rates. We offer tools to lower your global conference calling costs even further. Not only can you quickly look up current rates for the countries we support on our website, you can use the moderator dial-out option to get even better per minute rates in nearly all cases. For example, if you have a participant located in a country where the per minute rate is much higher than others, using the dial-out option can bring that rate down. You’d simply initiate the connection on your end rather than have that participant dial the conference call directly. Your Bahrain conference calls will sound crystal clear. We use modern PSTN telecommunications networks for superior sound quality no matter where in the world you hold your global conference calls. You’ll hear each person’s voice as they speak, but you won’t hear unpleasant line noise, crackling sounds, echoes, or stuttered audio, all of which are common with cheap VoIP international conferencing solutions. Advanced conferencing tools are included. Though our Bahrain conference calling rates are extremely competitive and affordable, we include all kinds of premium conferencing tools in every pay-as-you-go plan such as MP3 call recording, a free Connect app, a free live conference viewer, an Outlook plugin, automatic call reports, and more. Help is readily available. Our US-based operators are always a tap of a button away, ready to jump in and help you as needed. Whether you need a line muted or an absentee participant dialed in, our live operators can help — 24/7. We’ve built our Bahrain global conference calling plan around the needs of busy professionals. Sign up for a no-contract international conference calling plan today and find out just how easy it is to collaborate with associates from around the world. Remember, there are no minimum requirements, no contracts, no surprise fees, and no cancellation penalties. How are you using international conference calls in Bahrain or elsewhere? We’d love to hear your success stories. Share your stories with us on Facebook.